Home / Bolt on Turbo / Campro Engine / Proton / Proton Campro Engines Fail on Crank after Bolt On Turbo! 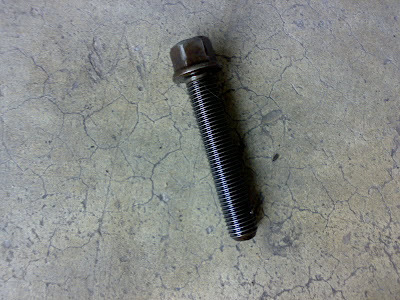 Proton Campro Engines Fail on Crank after Bolt On Turbo! Driving a car with CAMPRO engine? Wish to BOT (Bolt On Turbo)? 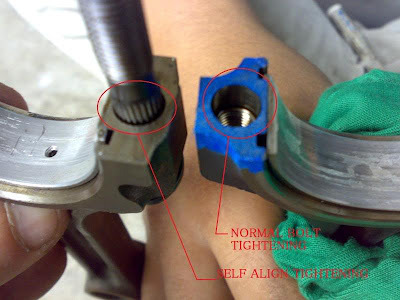 Do follow this post closely on how the CAMPRO Engine fail on crank. 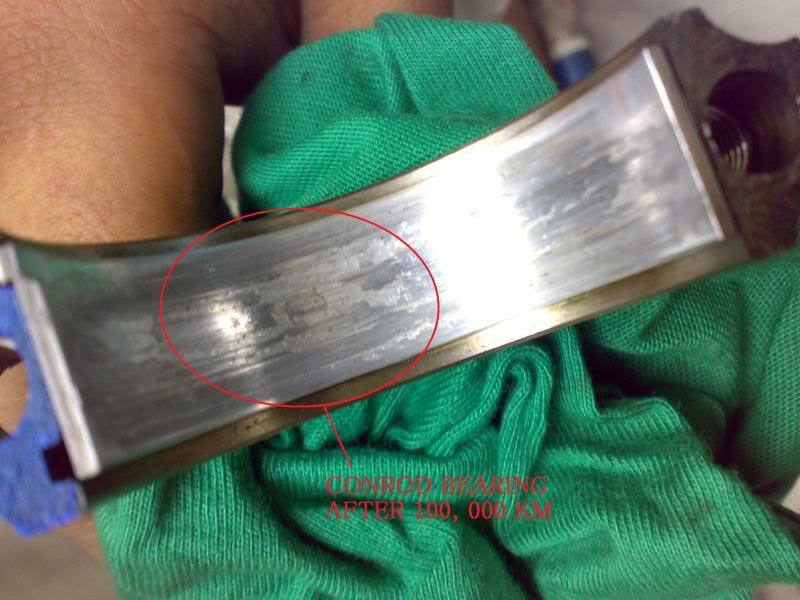 Here is a result of a failed CAMPRO engine after BOT. What is the result is BOT DOES NOT FAIL THE CAMPRO CRANK, BOT ONLY ACCELERATE THE FAILING PROCESS OF THE CRANK. 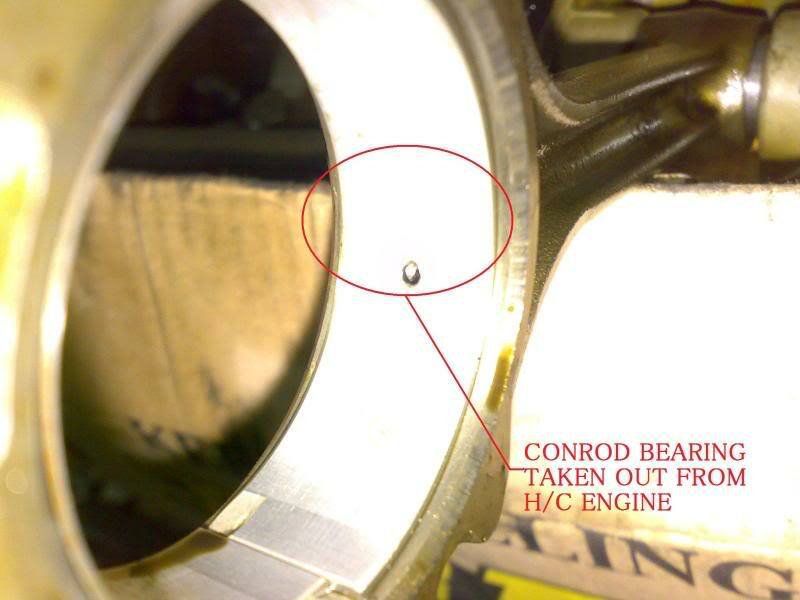 The actual reason of the crank failure is actually from CONROD. Here are some picture I've taken in comparison between a CAMPRO 1.6 CONROD vs a 4G92P CONROD. Therefore, for those who wish to BOT their CAMPRO engine please upgrade the internal parts of the engine for more reliable and durable engine. By changing to a better forged piston and modify the engine lubrication holes, you can boost happily without any major problem like this. 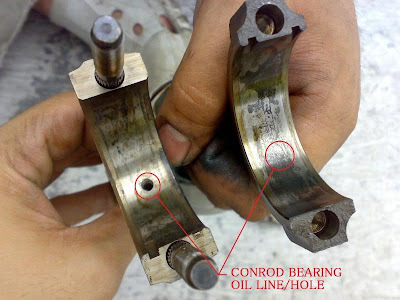 The holes are for the engine oil to enter the conrod bearing for lubrication and cooling furpose as the Crank is turning within the Conrod bearing. without sufficient lubrication, the crank will wear out the conrod brearing. 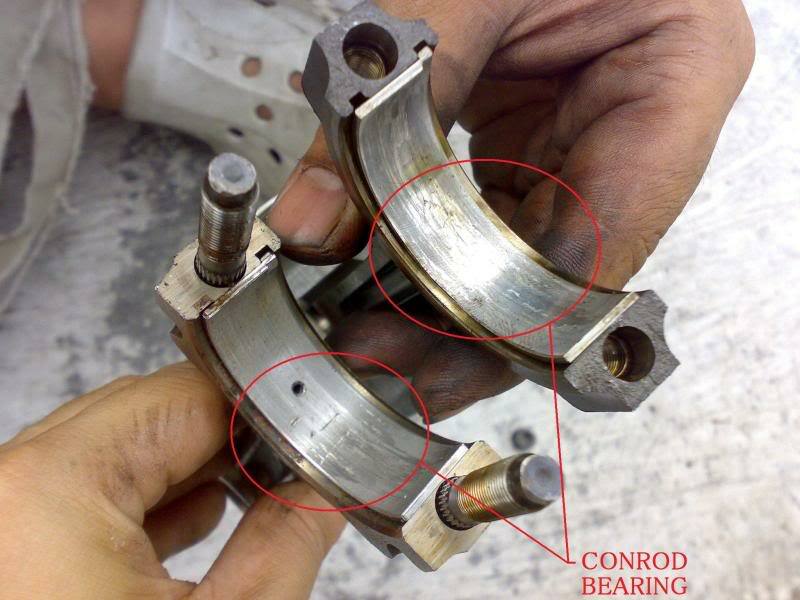 An Image showing the Conrods without the bearing. This is the CONROD Bearing used for around 100,000KM running all time on Semi Synthetic Oil. Owner claim he seldom gasak the engine. Realize that the bearing is ot smooth anymore. And sooner or later, it'll create higher friction to the cranks. This is a CONROD BEARING from a 4G93 mitsu engine kosong from halfcut. Not sure about the date. 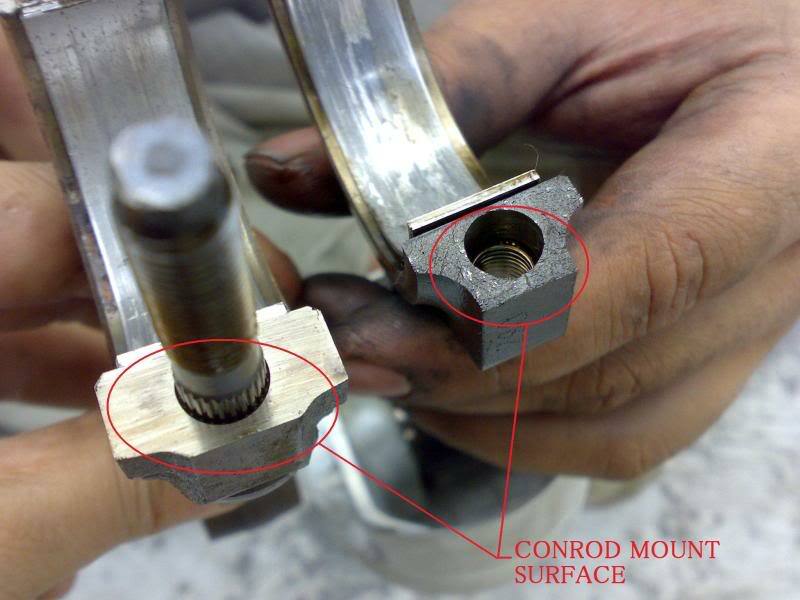 Take a look at the CONROD thickness comparison. Now, lets compare the surface where the lower conrod and upper conrod have their contact. What do you think..? 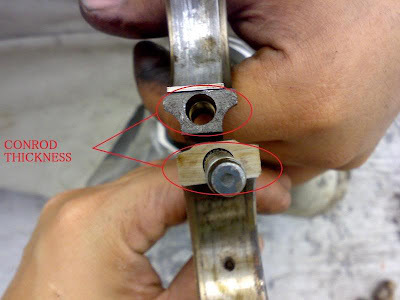 Would the CAMPRO CONROD seat properly flat..? Here is the pisture showing the lower part of the CONROD attached with the upper part of the CONROD between 4G92P and CAMPRO 1.6. Obviously, after attached, The CAMPRO 1.6 are not flat at all. 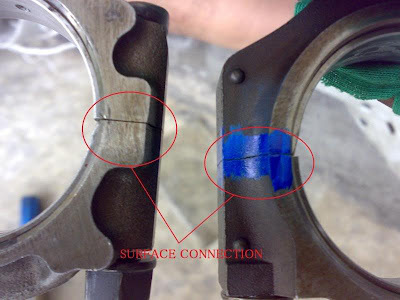 Please note the difference between the CONROD tightening method difference between the 4G92P and the CAMPRO 1.6. If u try fitting in the lower part of the MITSU's CONROD into the MAIN CONROD, you will realize it's harder to go in at the vertical lines of the Stuts. The diameter of the portion with vertical lines are bigger so that the BOTTOM CONROD witll self align to the center of both Stuts. 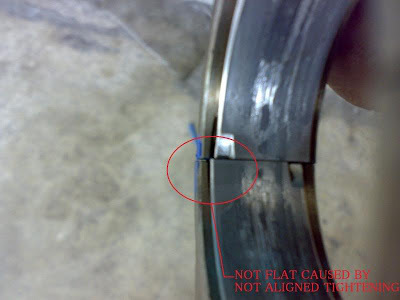 So, they will be flat when tightened. From what one can observed, the Mitsubishi 4G92's piston has more holes for engine oil to slip through the cylinder wall. 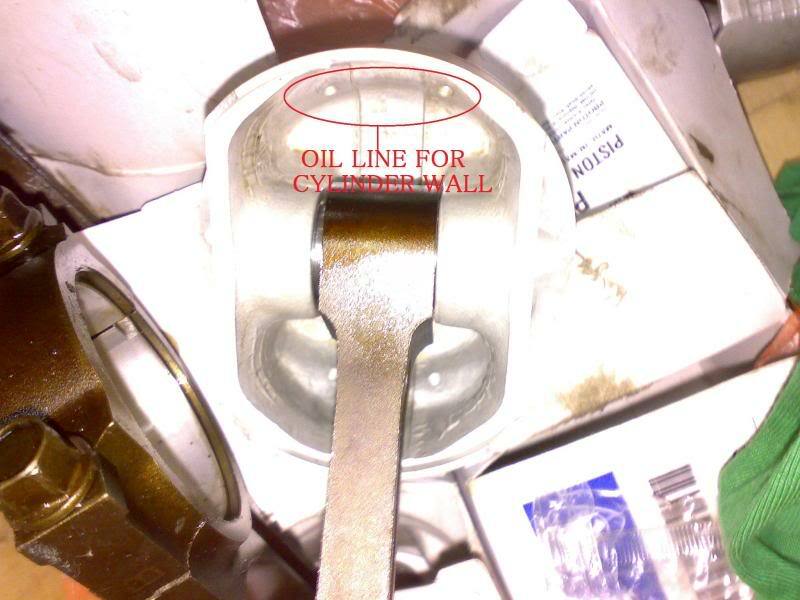 The main purpose is for lubrication purpose. 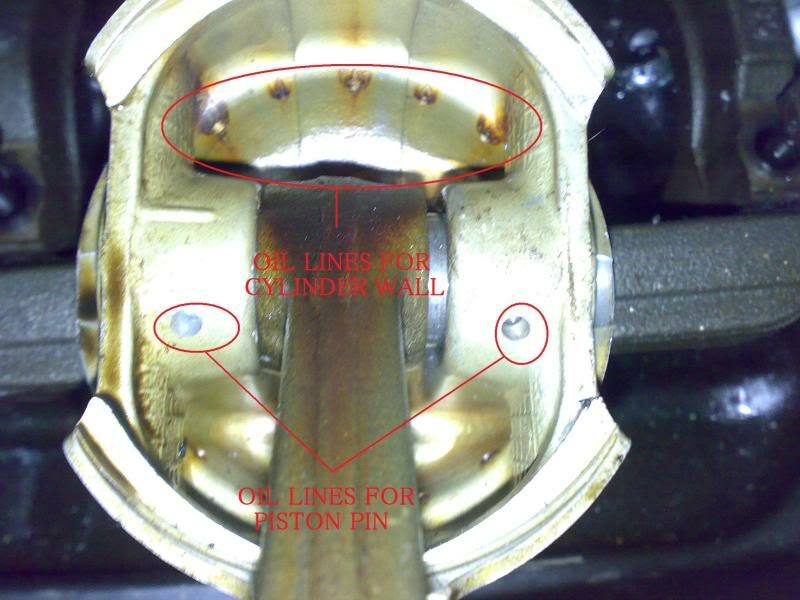 When compare to CAMPRO's piston, there are less holes which might cause the piston does not have enough lubrication effect. Besides that, the Piston PIN of CAMPRO's piston also does not have holes for the oil to slip through for the pin lubrication.